Greeted by the rising wing of our multi-award-winning winery, a visit to Peregrine is an experience in itself. Recalling the sweep of a falcon's wing in flight, this has been the heart of our operation since 2003, where we welcome visitors for tastings and cellar door sales daily from 11am to 5.30pm (except on public holidays). 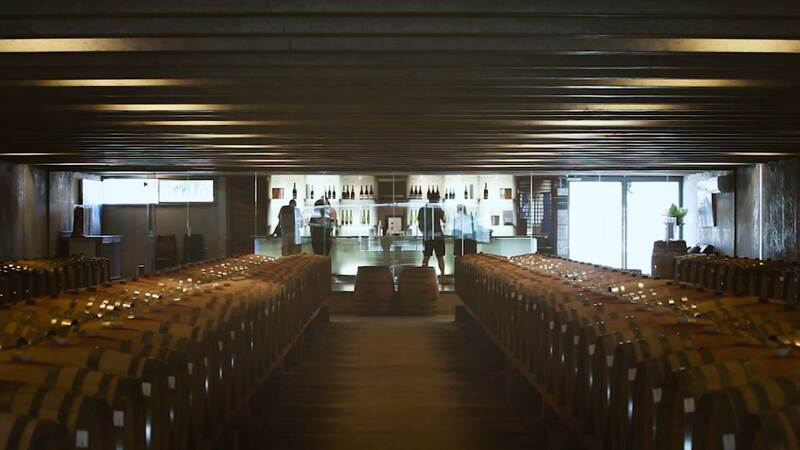 In the comfort of our tasting room, we will introduce you to wines that embody essential Central Otago styles, stretch your palate with newer varietals, or invite you to savour a stroll through the sights and scents of our barrel hall. When you visit Peregrine Winery, you enter our world - when you taste our vintages, you really understand. Looking out onto our latest wines in the barrel, there's no better place to acquaint yourself with Central Otago wines than right here. Take advantage of our team's knowledge and enthusiasm to expand your wine experience, or let them customize a tasting to your preferences. Since 1998, Peregrine has been an artisan wine producer, bringing hand-crafted care to our range of wines. Now one of New Zealand's most highly regarded producers, we focus on Pinot Noir and also offer an array of aromatic white wines including Pinot Gris, Riesling, Chardonnay, Sauvignon Blanc, Rose and Methode Traditionelle. Situated 20 minutes from Queenstown along Highway 6, our cellar doors are open daily from 11am to 5.30pm, except Christmas Day, Boxing Day, Anzac Day morning, Good Friday and Easter Sunday. For groups larger than 6 people, we request that you book. Please contact us via cellardoor@peregrinewines.co.nz with any enquiries or on +64 3 442 4000 (extn 2). Situated 20 minutes from Queenstown along Highway 6, our cellar doors are open daily from 11am to 5pm, except Christmas Day, Anzac Day morning and Good Friday. For groups larger than 6 people, we request that you book.